Genus: Stanhopea J.Frost ex Hook. Jenny, R. (2003). 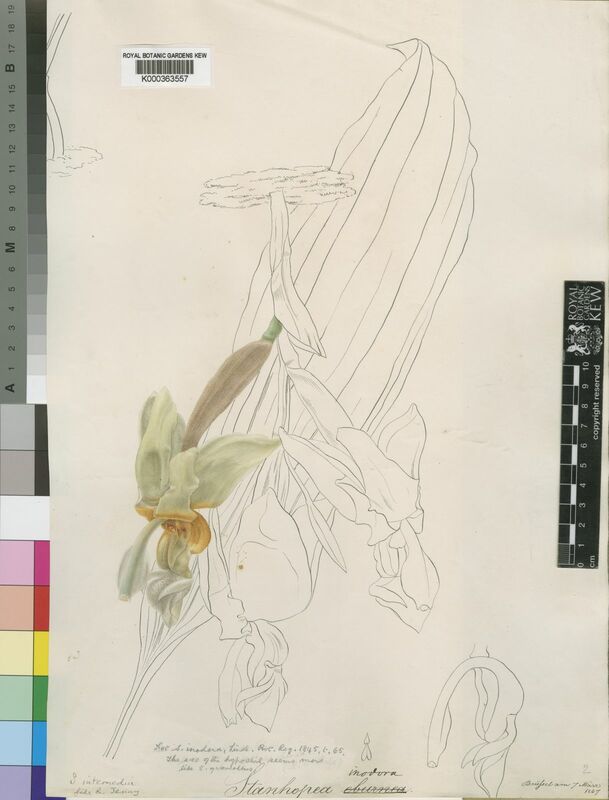 The genus Stanhopea 1st part S. anfracta to S. napoensis Caesiana, Rivista Italiana di Orchidologia 21: 1-145.